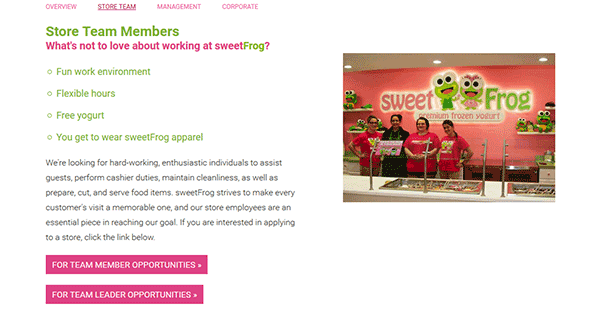 Download the Sweet Frog job application via the link on this page. 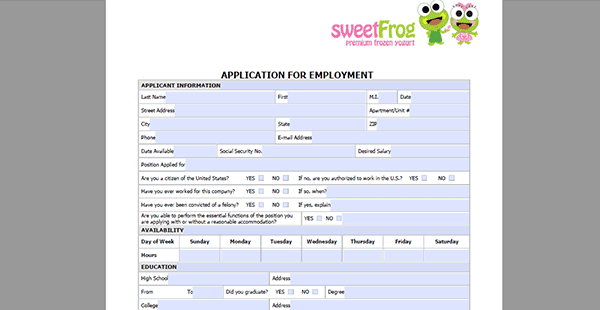 The application can also be completed 100% online by going to the employment opportunities page. In-store, management, and corporate careers can all be applied for online. 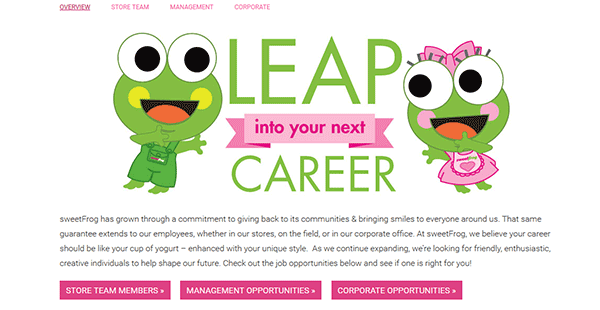 About the Company: Sweet Frog is an American chain of frozen yogurt stores with over 350 locations throughout the United States. Step 1 – Click here to load the employment opportunities page in a new browser tab/window. Step 2 – Click the job category you want to search (e.g. in-store, management, or corporate). Note: This guide details how to apply for in-store/retail positions. Step 3 – Click one of the links (team member opportunities OR team leader opportunities). Step 5 – Hit the “Next” button to load the next section. Continue to fill out the required sections of the form. After your application has been submitted it will take approximately 3-7 business days to be reviewed by a hiring manager. Step 1 – Download the application in .PDF format via the link at the top of the page. 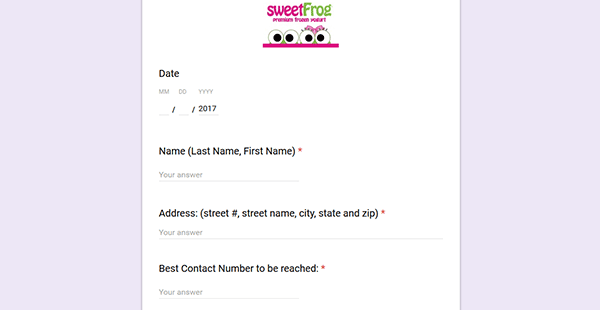 Step 4 – Sign your name in the “Signature” field and then fill in the date of signing.